While the document is high on aspirations, like many of its previous versions it remains open-ended in terms of how the details will actually evolve. The three pillars of the draft policy are ‘Connect India’, ‘Propel India’ and ‘Secure India’, which primarily seek to improve broadband connectivity, accelerate development of next-generation technologies and services and institute measures for data sovereignty, security and safety, respectively. The document is high on aspirations, a lot of which it seeks to fulfil by 2022. It also proposes several favourable institutional and regulatory changes and simplifies obtaining of permissions. However, it remains quite open-ended in terms of how the details could evolve. For example, while it endeavours to develop a fair, flexible, simple and transparent method for spectrum assignments and allocations, by pricing spectrum at an ‘optimal price’ and linking spectrum usage charges (SUC) to reflect costs of regulation and administration of spectrum, it cannot be said if these measures will fully rejuvenate a debt-ridden telecom sector. Ideally, the policy should have explicitly mentioned that revenue maximisation is not a goal for the government anymore, to reassure the industry that licence fees and SUC will not be astronomically priced – especially as it is in no mood to change the model of spectrum allocation from auction to revenue sharing (circa NTP-99). A clear commitment would have helped inspire more confidence in this strained sector. Regardless, these changes will also need approval from the finance ministry, where stiff resistance is expected. Expanding both wireless and wired broadband is a clear priority of the government. It sets out four initiatives, encouraging public-private partnerships to serve both rural and urban centres (BharatNet, GramNet, NagarNet, JanWiFi), and several additional measures to accelerate laying of optical fibre, mobile towers and increase sharing of infrastructure. Although the previous telecom policies (NTP-99, NTP-2012 and recommendations in ‘Fixing Broadband Quickly’ (TRAI, 2015)) determined the similar gaps and objectives, little has translated into concrete results so far. In 2017, ITU and UNESCO reported that India was the largest unconnected market, with 49.5% (approx. 660 million) of our population still unconnected. The report further noted that the penetration of mobile broadband was much higher than fixed-line broadband connections – and urban centres were better served than rural areas. One hopes that the new strategies and objectives will be better realised this time around. The policy also seeks to boost domestic innovation in the field of standards in communications technologies. This is reflected in its aims to strengthen domestic IP portfolios by providing financial incentives for the development of standard-essential patents (SEPs) and promote them at standard setting organisations. It mandates access to critical, mostly foreign-owned SEPs on a fair, reasonable and non-discriminatory basis (FRAND basis). This is an approach to patent licensing that has been endorsed by courts and the Competition Commission of India in the context of mobile phone technologies, as well as in other jurisdictions. 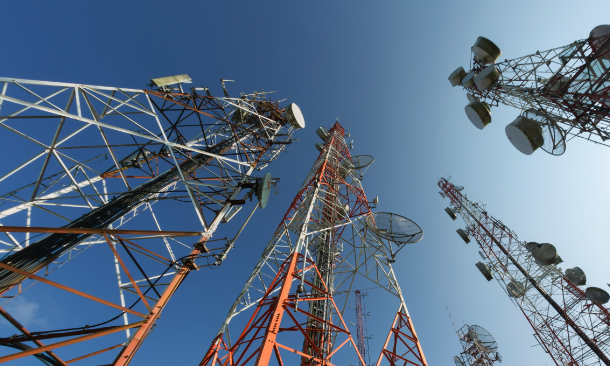 However, it remains to be seen how this mandate will be implemented in TRAI’s forthcoming recommendations on promoting telecom equipment manufacturing in India. This is a real opportunity for the telecom regulator to help the low-cost smartphone manufacturing industry in India to overcome their disadvantage in terms of having to pay exorbitant royalties to foreign-SEP holders and getting sued for infringement in the process. Another strategy that should have found place was the creation of government-controlled patent pools for SEPs, which could have solved the issue of uncertainty for local manufacturers and ensured payments to SEP holders to a great extent. Additionally, the policy proposes a few consumer-oriented changes such as establishing a ‘Telecom Ombudsman’ and a centralised web-based complaint redressal system. In the third pillar of ‘Secure India’, although the document does not reveal the DoT’s approach to net-neutrality nor data protection and privacy, it does say that the government will be amenable to changing the terms of license to fulfill their core principles. Curiously, in order to ‘facilitate security and safety of citizens’ it proposes to set up ‘lawful interception agencies with state of the art lawful intercept and analysis systems for implementation of law and order and national security’. This measure did not exist in TRAI’s version of the draft policy. On next-generation tech in the field of IoT and cloud, it retained TRAI’s suggestion of setting up ‘light-touch’ licensing frameworks. This may prove to be a barrier to innovation in the field. While the policy is broad and forward-looking, the true intent and meaning of the listed steps will only be understood when complementary legislative and granular policy actions to support these strategies are crystallised. That will make all the difference. Anubha Sinha is a lawyer-researcher at the Centre for Internet and Society, India.